The iUPS Series provide reliable UPS under extreme conditions including hazardous (classified) locations typically found in chemical plants, oil refineries, and around oil & gas platforms. Critical equipment such as servers, process analysers, and control systems can be protected in the event of a brown out or other supply disturbance. In Zone 1 the iUPS101 can provide 120 or 230 VAC at 3 kVA for 35 minutes and has alarm and status LEDs visible through a glass window. 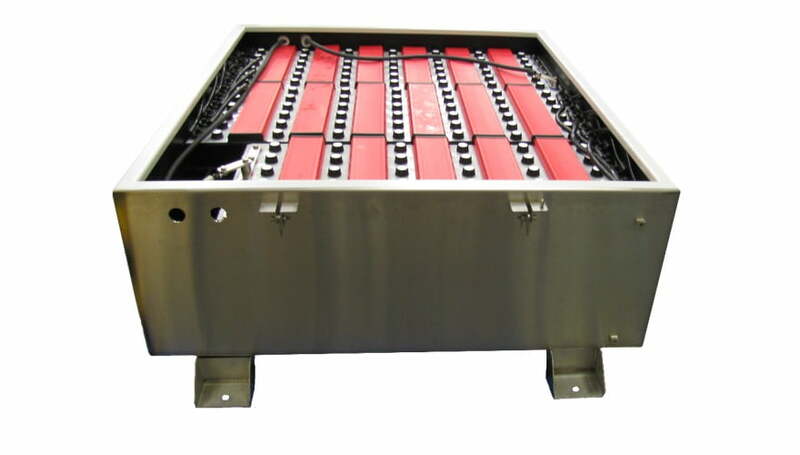 Surface mounted switches provide input / output power isolation, and a stainless steel close-coupled termination enclosure and external battery box means that the main explosion proof enclosure does not need to be opened. A second battery box can be added to double the run time. An upgraded version of the original iUPS100. For Zone 2 the iUPS200 provides 12 or 24VDC at 70W for 120 minutes. 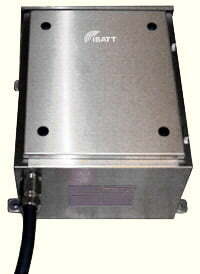 The stainless steel enclosure may be wall or pole mounted and also accommodates the battery. Optional features include a choice of built-in status indication and pushbutton control, or active logic outputs for monitoring by a DCS or other control system. Both models include advanced battery charging technology including temperature compensation to maximize battery life and performance. or 87 minutes with additional battery enclosure. See data sheet for run time table. See data sheet for de-rating table. Part of the iUPS101 system, but available separately for applications requiring 24VDC power in Zone 1 and 2 hazardous areas. Ideal for use on oil and gas platforms, refineries, wellheads, and pipeline facilities. Includes two 12V vent regulated lead acid batteries connected in series. These advanced technology batteries are maintenance free and provide superior performance and cycle life compared to conventional electrolyte batteries. Charging in a hazardous location is permissible by compliance with the ATEX certificate and requirements of EN60079-0 and EN60079-7. The wall mounting 316L stainless steel enclosure includes a lockable hinged door for easy access and battery replacement. The iBATT100 is supplied with the battery link cable and battery terminal insulating boots. The iBATT5xx is designed to be configured to suit your application. It is available in a wide range of sizes and will contain the batteries of your choice. The iBATT5xx is designed to house a variety of different lead acid, nickel cadmium, and nickel iron batteries. As well as safe area charging, the iBATT5xx may be charged in the hazardous area in line with the battery manufacturer’s instructions, providing that a method of protecting against overvoltage and overcurrent is used. Scalable to suit the installation requirements, the iBATT5xx is available in a number of sizes and can incorporate up to 36 battery cells. The iBATT5xx can be used as an independent battery enclosure, providing the special conditions for safe use (as per the ATEX/IECEx certificates) are met. The iBATT5xx can also be easily used in conjunction with Extronics’ range of UPS solutions, such as the iUPS101. 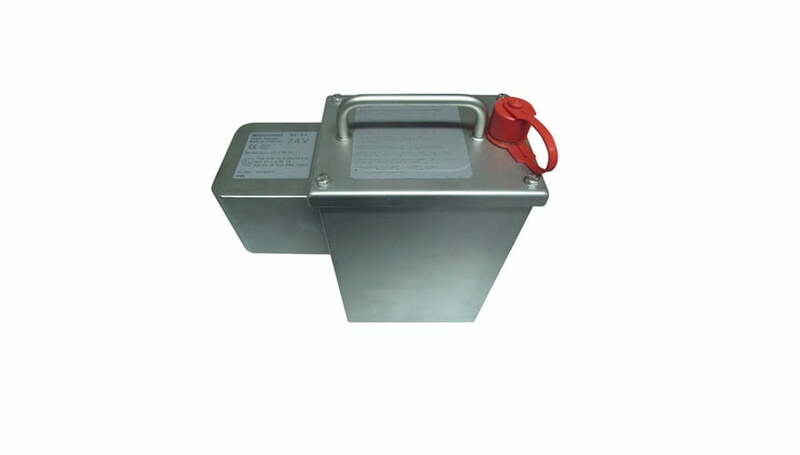 The BK-Ex is a rugged stainless steel rechargeable battery enclosure for use in the hazardous area. The enclosure can be used in mobile or fixed applications and is fitted with an ATEX certified outlet socket for easy connection to the equipment. The enclosure cannot be recharged in the hazardous area. The BK-EX is a rechargeable battery enclosure than can be used in mobile or fixed applications. With an ATEX certified outlet socket, the BK-EX is easy to connect to equipment.